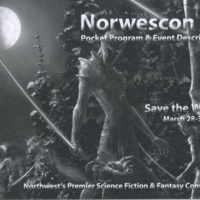 The covers of the pocket programs for Norwescon 40. 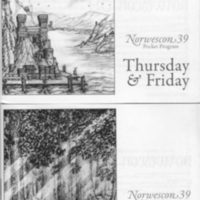 One for Thursday and Friday, one for Saturday and Sunday. 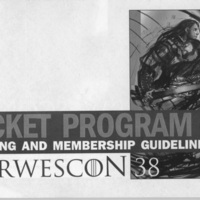 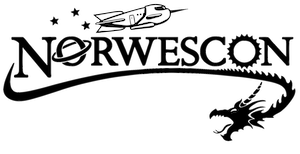 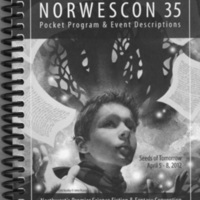 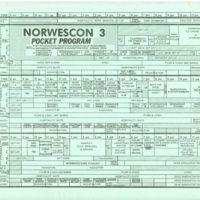 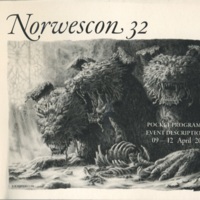 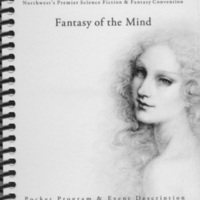 The cover of the Norwescon 32 pocket program. 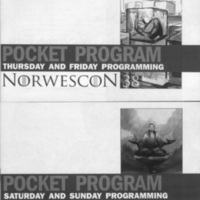 Foldable pocket program for Norwescon 5. 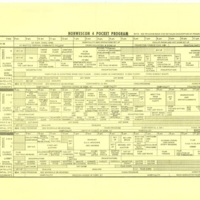 Schedule on one side; hotel map and list of Dealers Room vendors on other side. 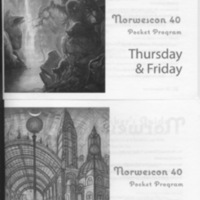 Foldable pocket program for Norwescon 4. 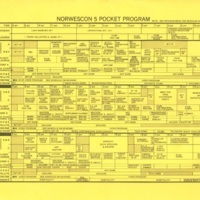 Program on one side; hotel map and video schedule on the other side. 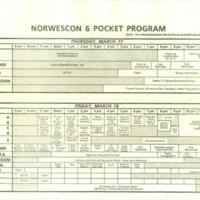 Foldable programming grid for Norwescon 3.